The FineVu-CR500HD was released in late 2012. Its elegant design and very small size of 39mm x 64mm x 50mm make it all but disappear behind your rear-view mirror. The video quality is excellent at day and very good at night. As a consequence of its small size, this camera does not have a screen, and it also doesn’t have built-in GPS. However, an external GPS unit for this camera can be acquired separately if desired. 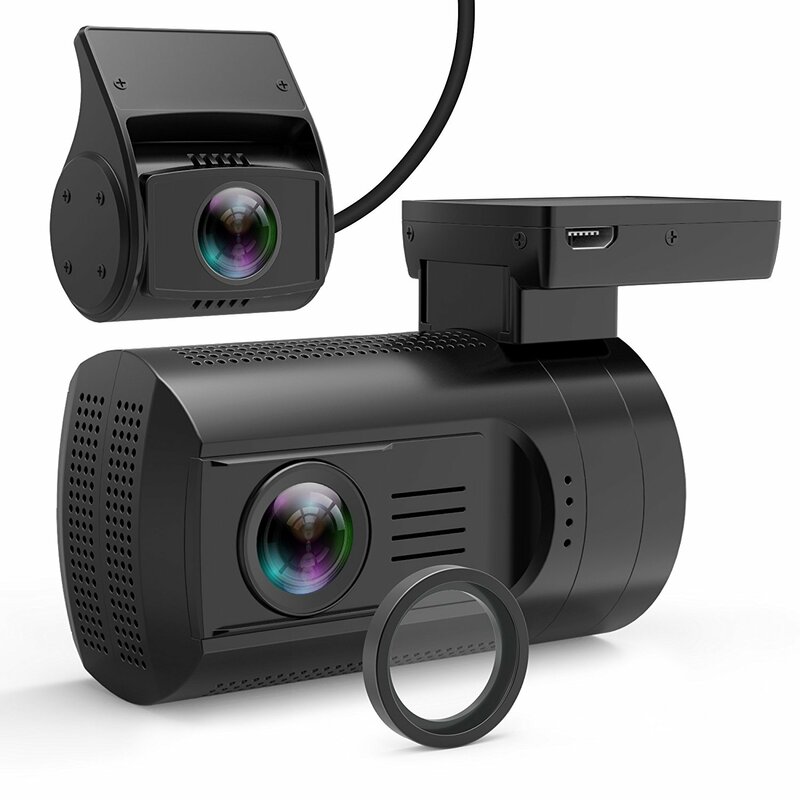 As a high-end product, this camera obviously supports all the basic features like loop recording, auto on/off, date and time stamp, G-sensor and parking mode. Additionally, the CR-500HD can be equipped with an easy-to-install circular polarizing filter (CPL lens) that minimizes reflections which can occur when recording in sunny weather, improving video quality even more. This polarizing filter is available separately. Do remember to remove the filter when driving at night though, otherwise a very dark video will result. Arguably the most elegant dash cam available in 2013, the FineVu CR-500HD is definitely a recommended buy for those who are willing to spend a bit more for a top quality device. In the day time, video quality is excellent compared to most other dashboard cameras. Due to the sunny weather though, we do see a lot of reflections on the windshield. This is a common effect with dashboard cameras if no polarizing lens is installed. When a circular polarizing lens is installed, windshield reflections are greatly reduced, improving the video quality even more. Night video is of high quality too. Other cars and their license plates are clearly visible, even from a distance. The FineVu CR-500HD is no longer available.